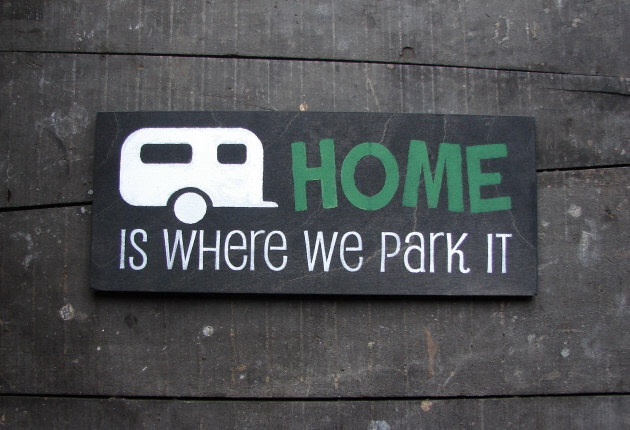 First off, 6 more sleeps till the start of camping season! Yay! Now that my excitement and countdown is out there, I can continue on with my storage solutions. 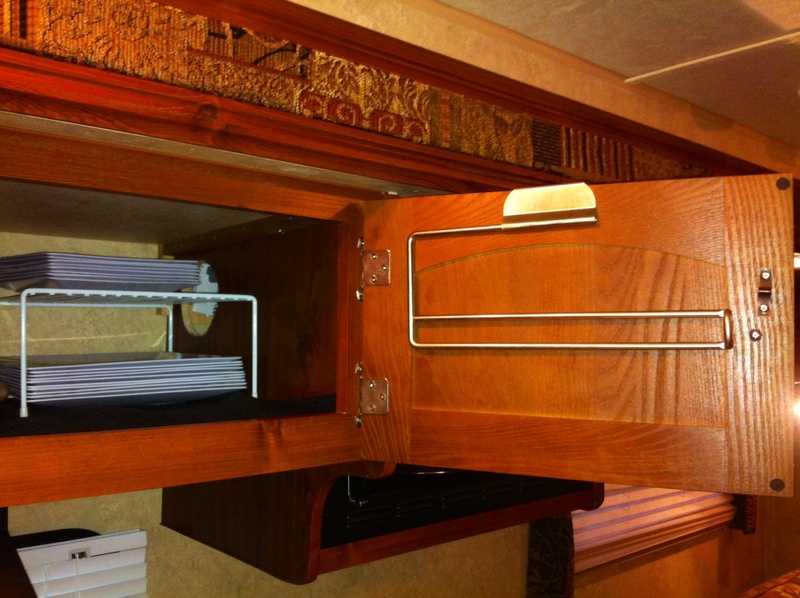 I would like to share with you how I organized my kitchen cupboards in my trailer. I am very fortunate to have very deep cupboards. The wall is more than an arm’s length away from the cupboard, which allows me to store our toaster and coffee maker on the counter permanently. 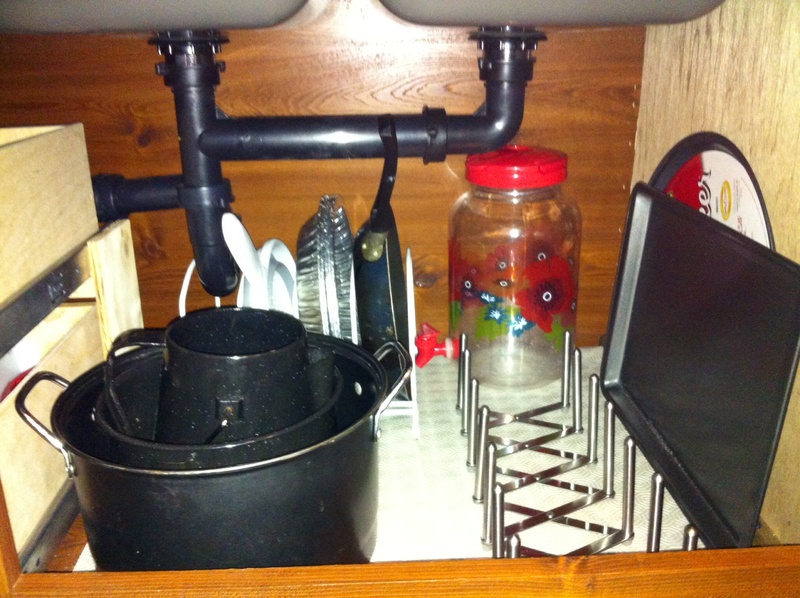 The depth can be awkward to deal with when you want to be able to easily access items in the cabinets. Last year, these cupboards were considered avalanche zones, as things would topple over and fall out when you removed something. This year, we are trying to be smart about our organization to avoid the mess of last year. One of the purchases we made was a few Lazy Susans. 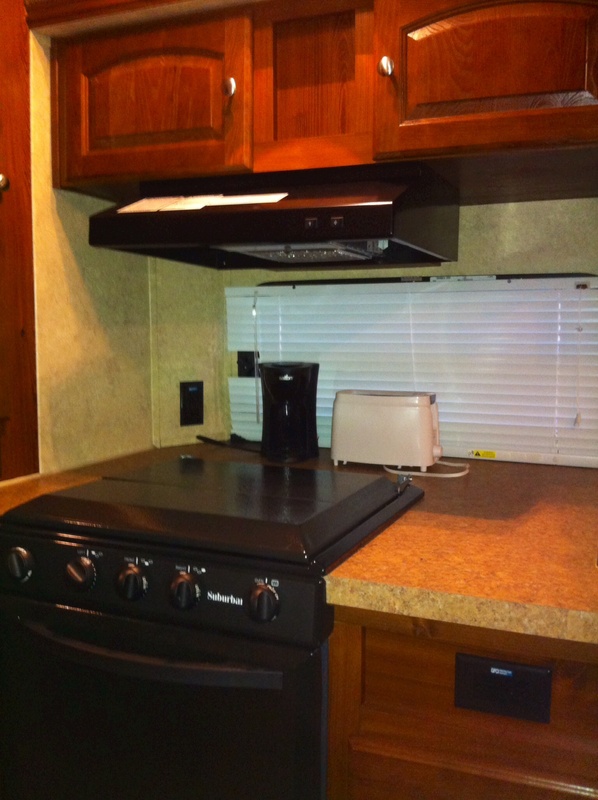 They worked to eliminate reaching in our upper cabinets. Just turn the Lazy Susan around and everything at the back spins to the front. 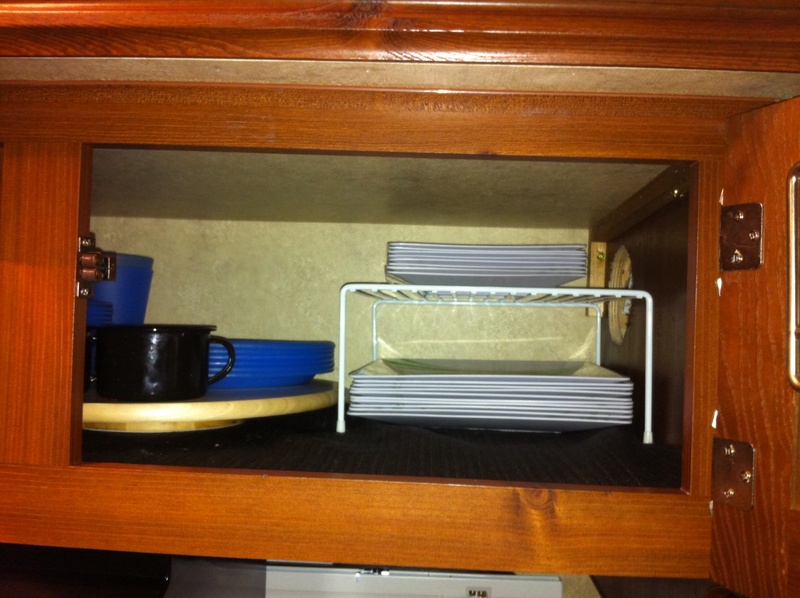 Also, in the upper cabinets we used a wire shelf to create another level of storage within the cupboard. 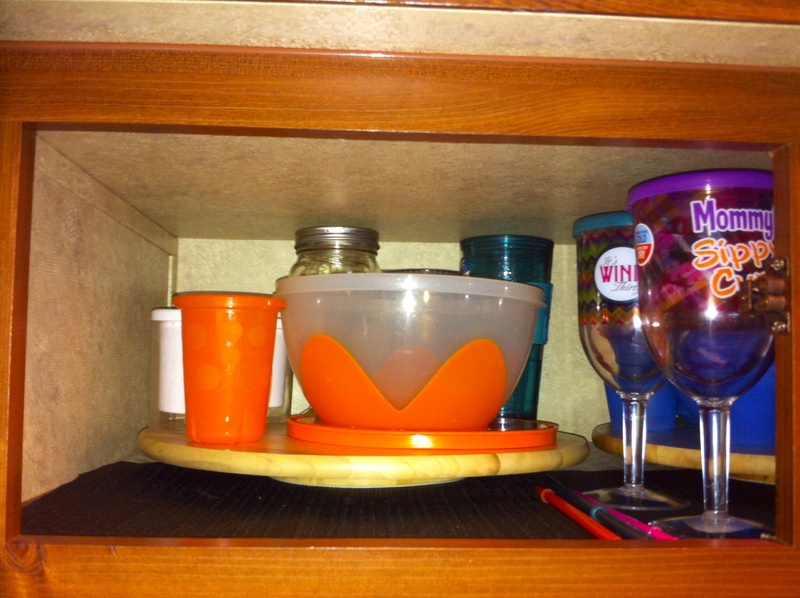 It enables me to stack dishes upon dishes with ease. 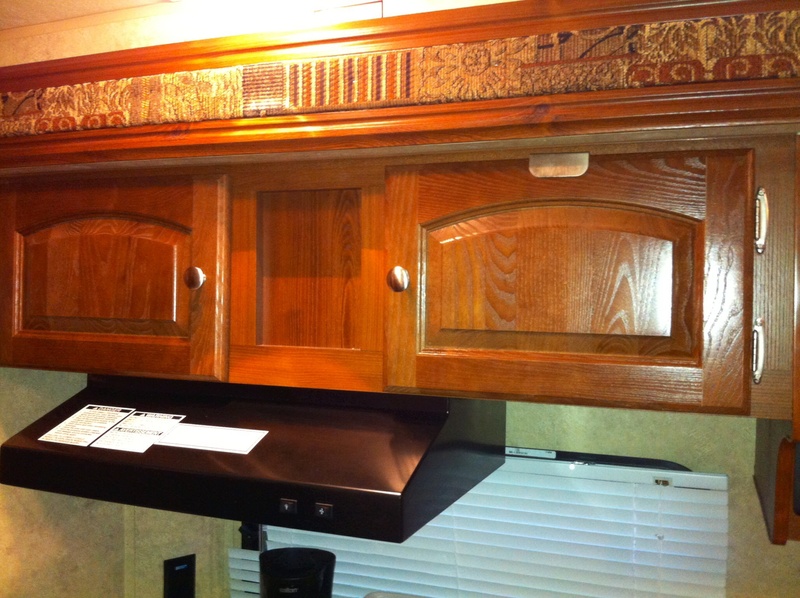 The last storage solution that we used for our upper cabinets was an over the door paper towel holder. 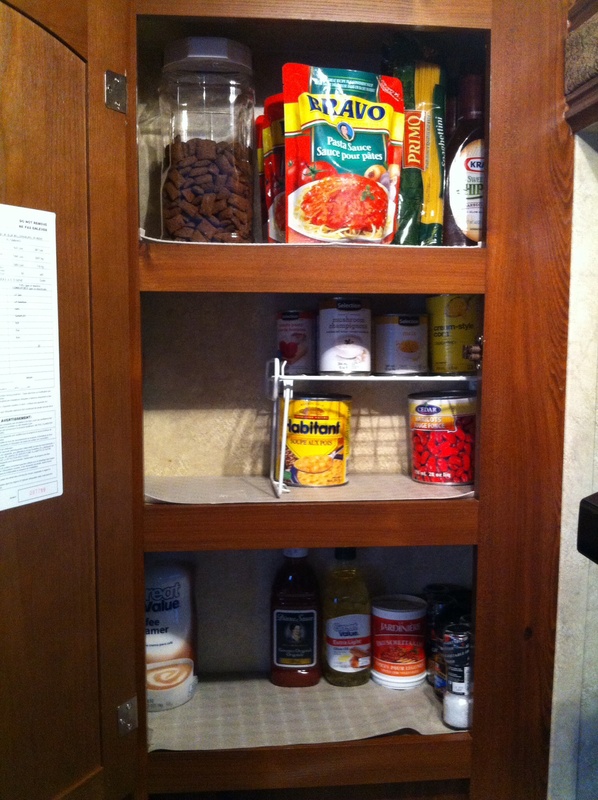 In the lower cabinets we have the same depth and same issue with organizing all the stuff that we need. We get creative with different gadgets here as well. In a previous post I discussed drawer organization, so I will avoid a lengthy recap and just give the visual. 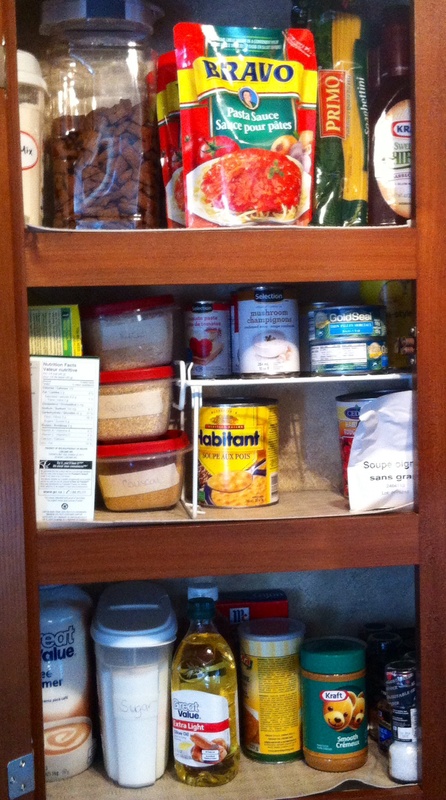 Finally, we reorganized our pantry. I wanted to use a three-tiered can stand, but my pantry is not deep enough. So we went with a smaller wire shelf. We also condensed packaging by putting different bulkier packaged items into small containers. 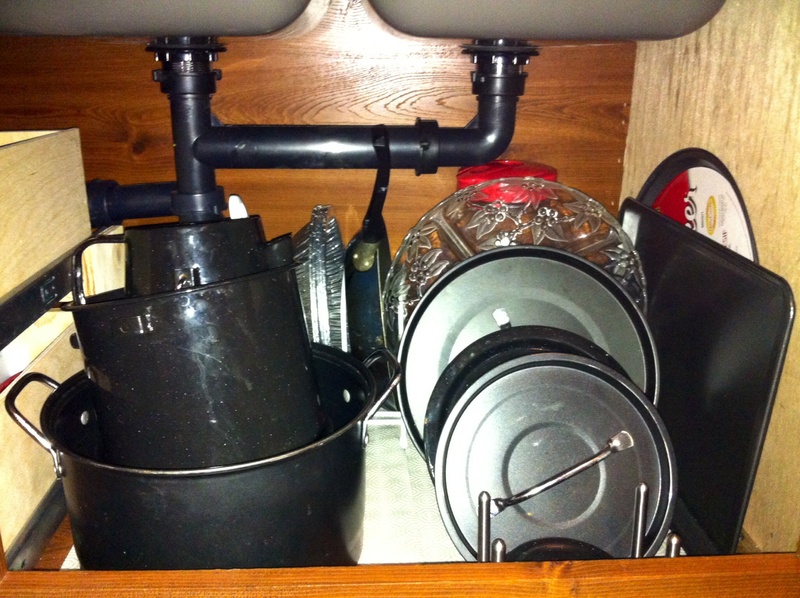 Well, that’s my kitchen and my storage solutions in a nutshell. If you would like to read a bit more about where we purchased some of these gadgets, please visit here. 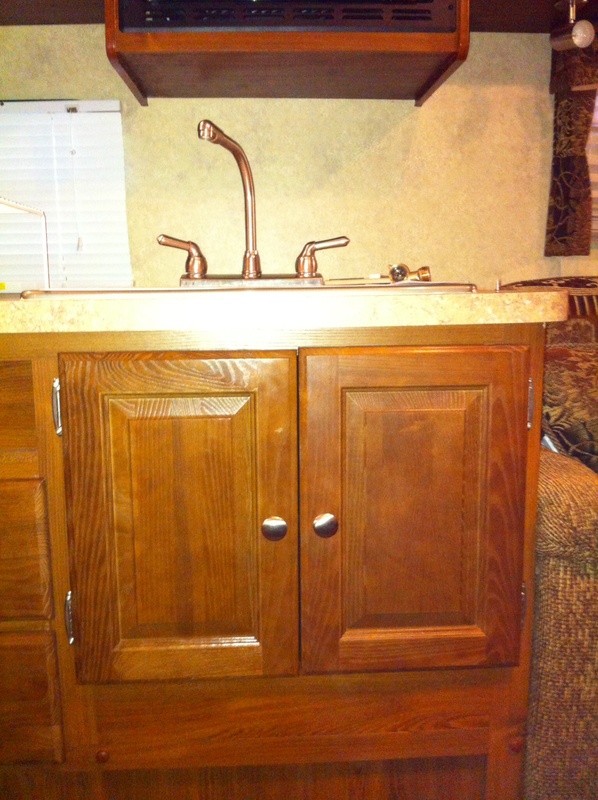 This entry was posted in Trailer Organization, Modifications & Storage Solutions and tagged cabinets, Camping, Home, Kitchen, kitchen cupboards, Organization, RV, Storage Solution, Storage Solutions, Travel Trailer. Bookmark the permalink.